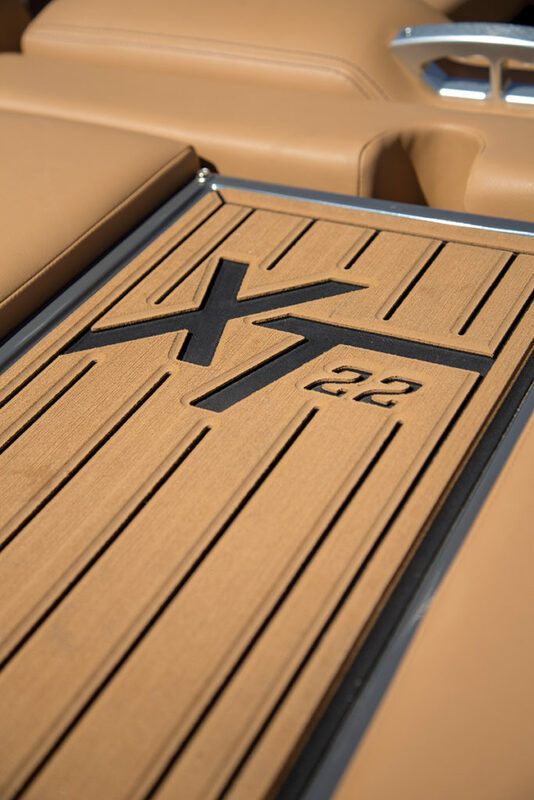 MasterCraft introduced the surf/wakeboard/ slalom-capable XT22 last year and already the builder is tweaking the boat to make it even better. An all-new interior look features a dark tan Odessa vinyl, which is reminiscent of the interior of a luxury sports car, and a helm that includes more analog gauges and a new 7-inch touchscreen. 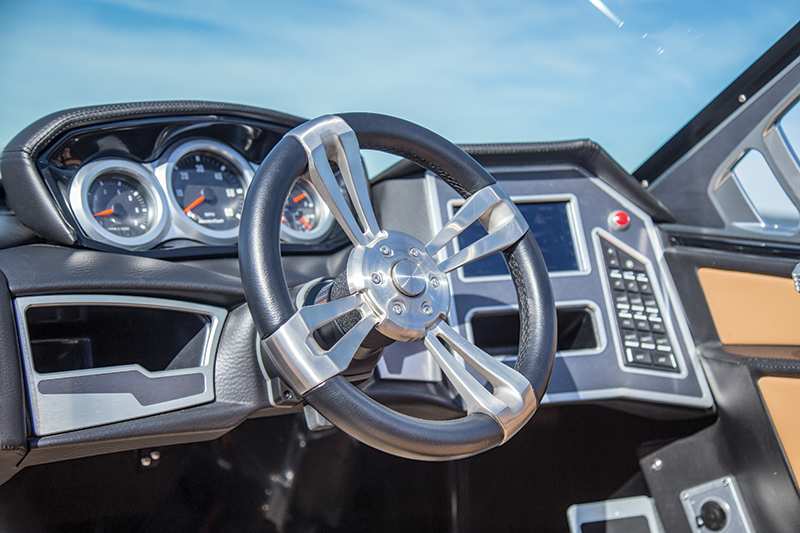 Set off to the side but high enough for easy reading, the MFD allows the driver to control everything on the boat, including ballast setup and the stereo. 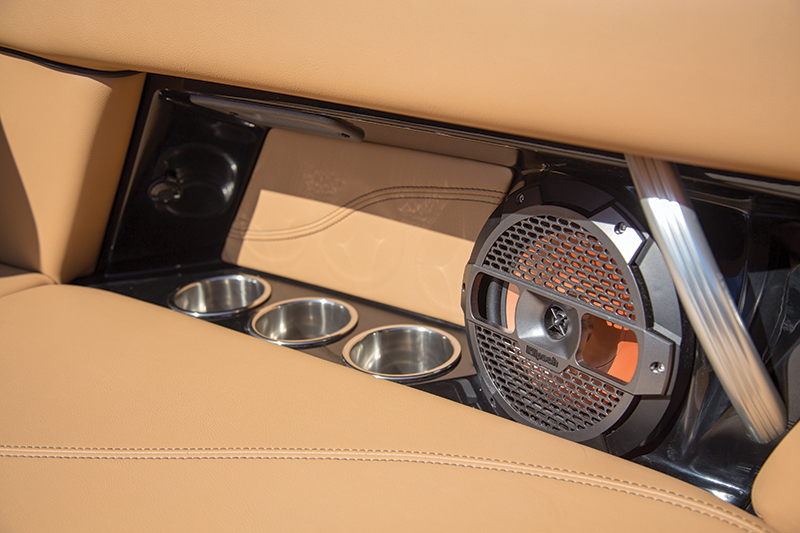 MasterCraft is the only ski-boat builder to use Klipsch stereos, and this year the sound got even better with an Audio Zone Control System from KMSU1, which allows users to adjust the volume in every zone to create the perfect mix. MasterCraft takes an à la carte approach to outfitting its boats, so owners have a number of options. The base price is $103,170, and buyers start by choosing items such as the tower, which on our boat was the mid-priced ZFT4 manual tower ($4,500). Then come the ingredients to cook up heavy surf and wakeboard launch ramps. 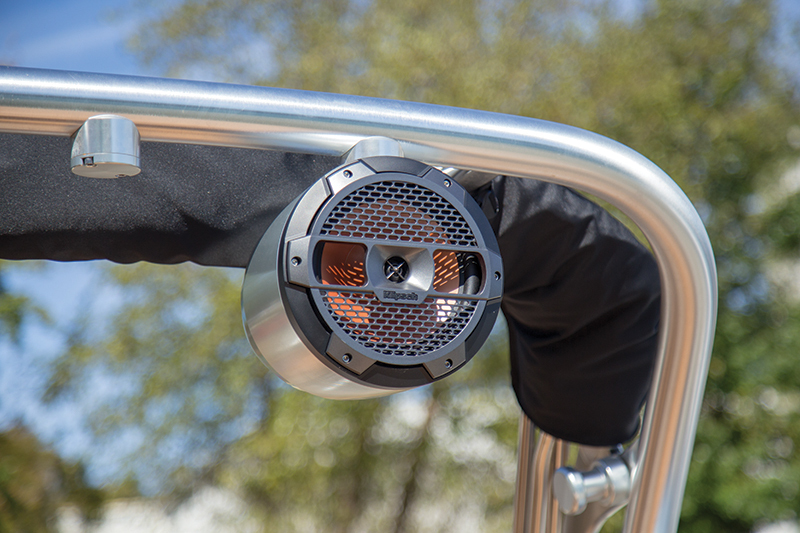 MasterCraft’s Gen 2 Surf System ($7,220) isn’t a one-size-fits-all system but is customized for each model in the lineup. In addition to a wake-friendly hull shape and computer software, the 22-foot-long MasterCraft XT22 packs 2,700 pounds of ballast in four tanks to go with its 4,900-pound hull weight — a total of 7,600 pounds of heft before 16 people pile on board. Last, the wave-shaping devices consist of two outer tabs and a center plate that’s part of the Auto Launch system, which creates four zones of surf waves and helps conserve fuel. 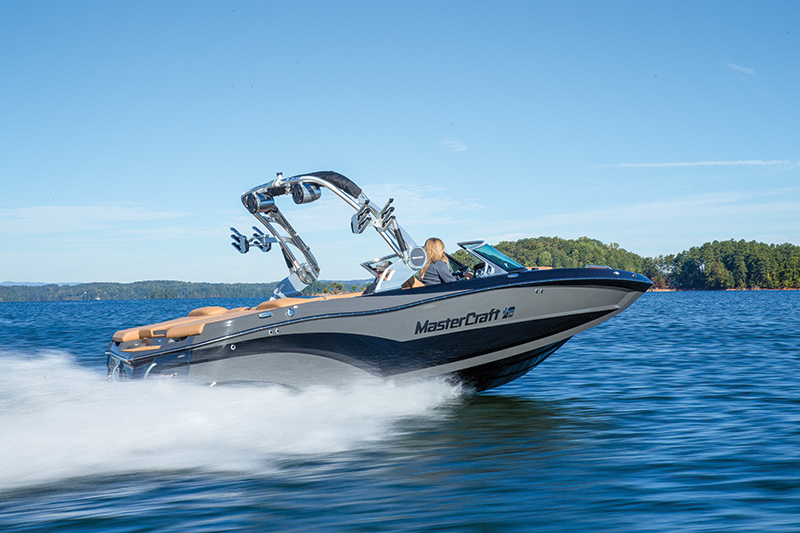 Direct-drive ski boats are notoriously difficult to dock for boaters used to more conventional boats, so MasterCraft created DockStar ($3,250). It places a pair of rudders in front of the prop that work with the main rudder behind the prop to not only improve directional control in reverse but also underway. Our test boat had a standard Ilmor 5000 MPI engine that gave it plenty of plowing power. Time to plane depends on the configuration in use. Without any mechanical assist, the MasterCraft XT22 got on plane in 3.5 seconds and exhibited a fair amount of bowrise. With the center tab down, the boat planed in 3.0 seconds with vastly reduced bowrise. With all three tabs deployed, the boat simply rose up and off we went. Top speed was 38.4 mph. LOA: 22 ft., 4 in. Time to Plane: 3.5 sec. Time to 30 mph: 7.8 sec.